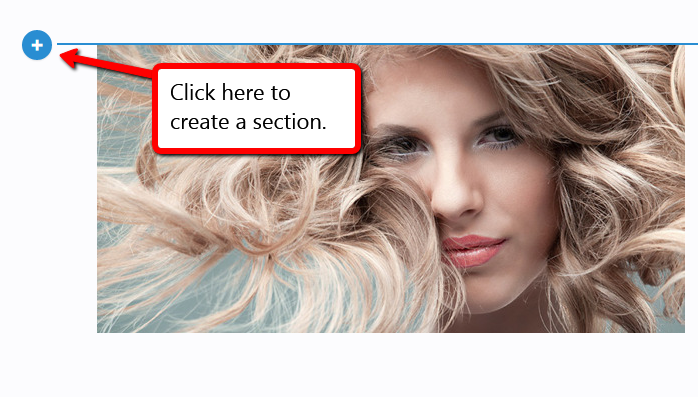 Customize the layout of your website by creating sections. 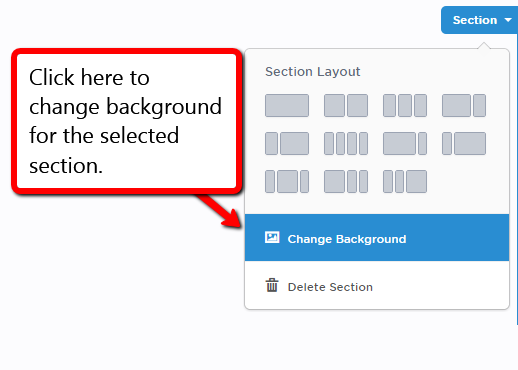 In each section you can change the layout template and background for the specific section. 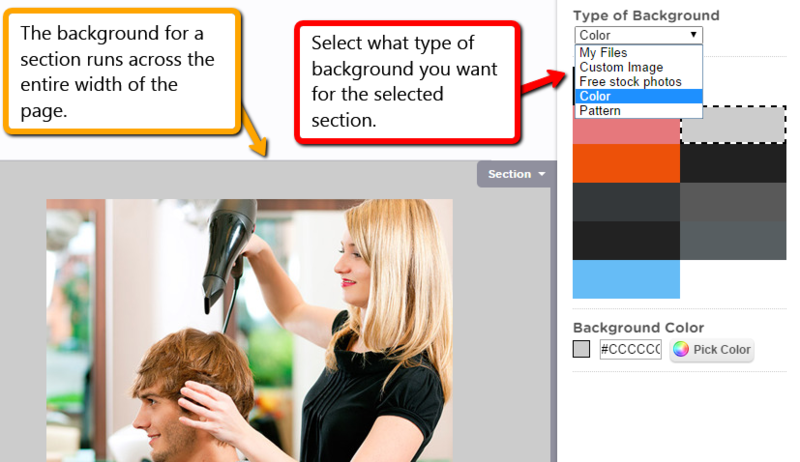 Each section can have its own background which runs the entire width of the page in the selected section. Each section is handled separately. 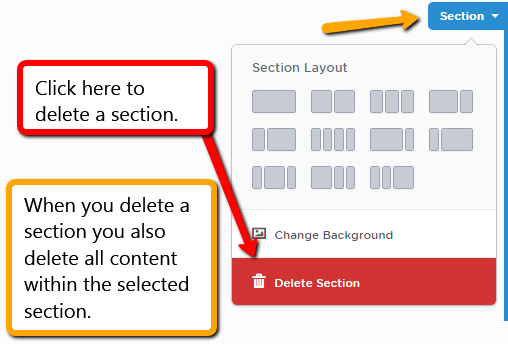 When you delete a section you also delete the blocks located within the section. 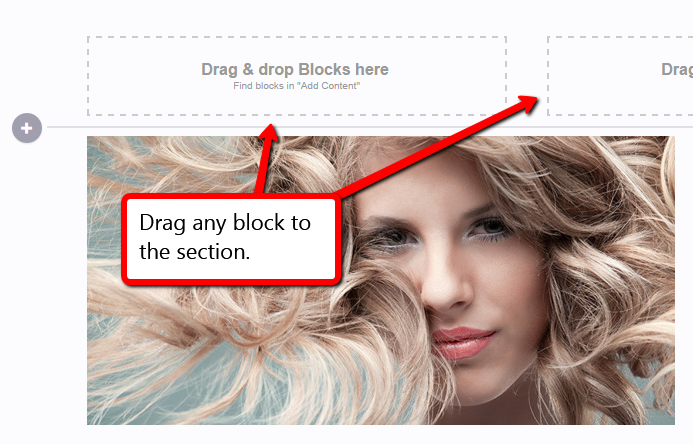 If you would like to keep the content you can move the blocks to another section before deleting the section.